A popular classic which has been given a contemporary twist. 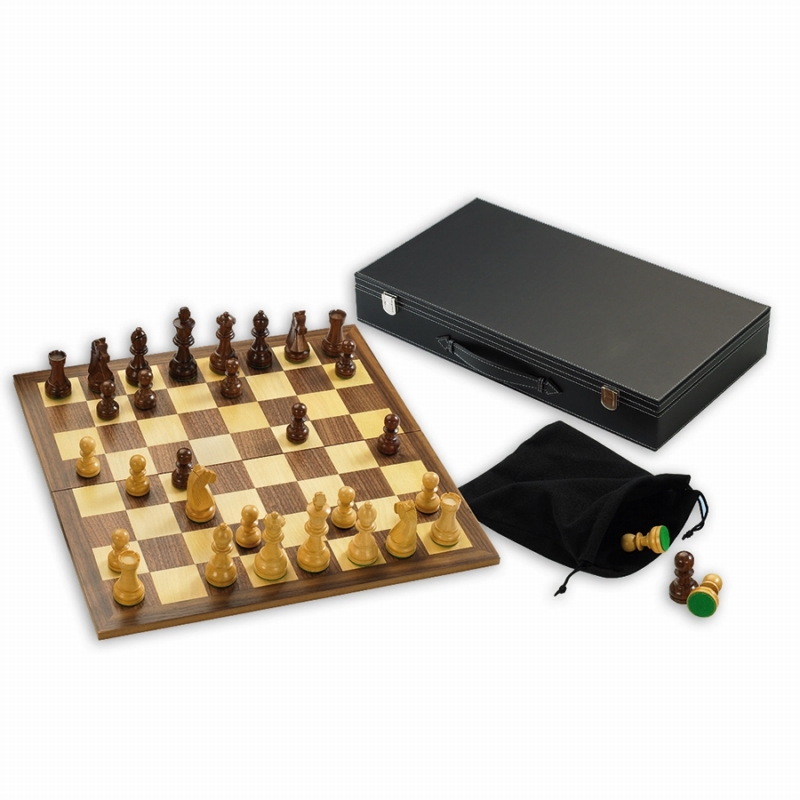 Each game contains finest quality pieces and makes an ideal gift for both the novice and serious games player. 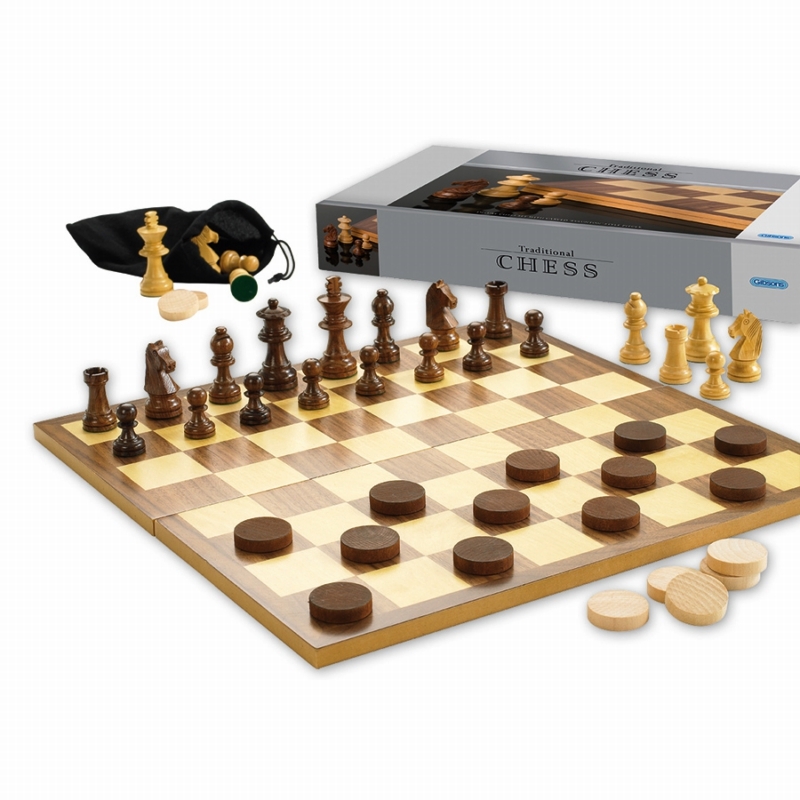 The set comes in attractive metallic silver packaging, includes comprehensive rules and contains everything needed to play chess and draughts, including wooden 2 and a half inch ‘Staunton’ style chess pieces, draughts pieces and a board with 40mm squares. 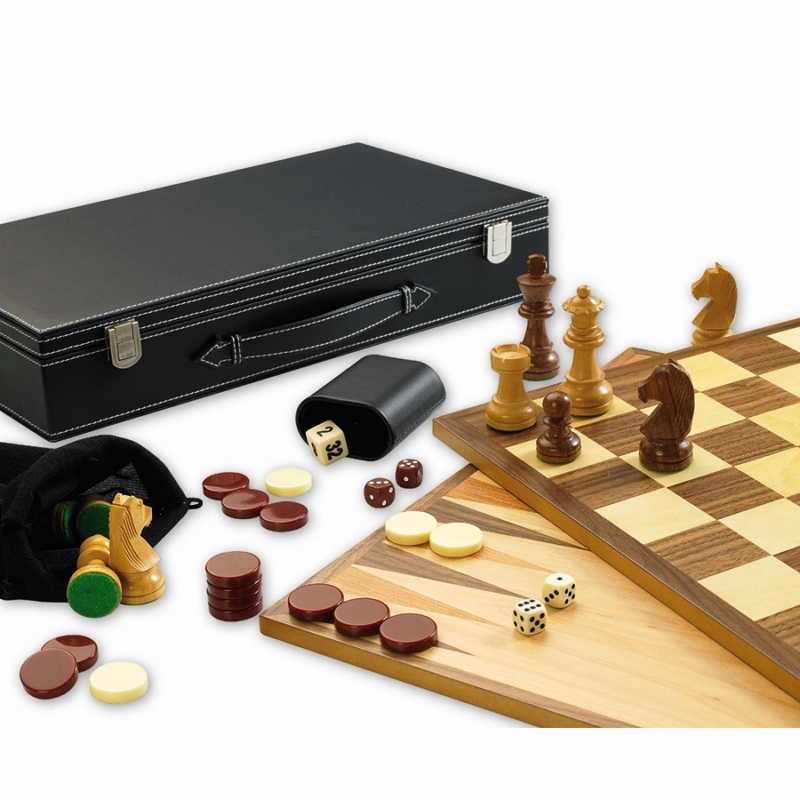 The chess pieces are crafted from Kariwood and Boxwood, and each is varnished with a felted base. 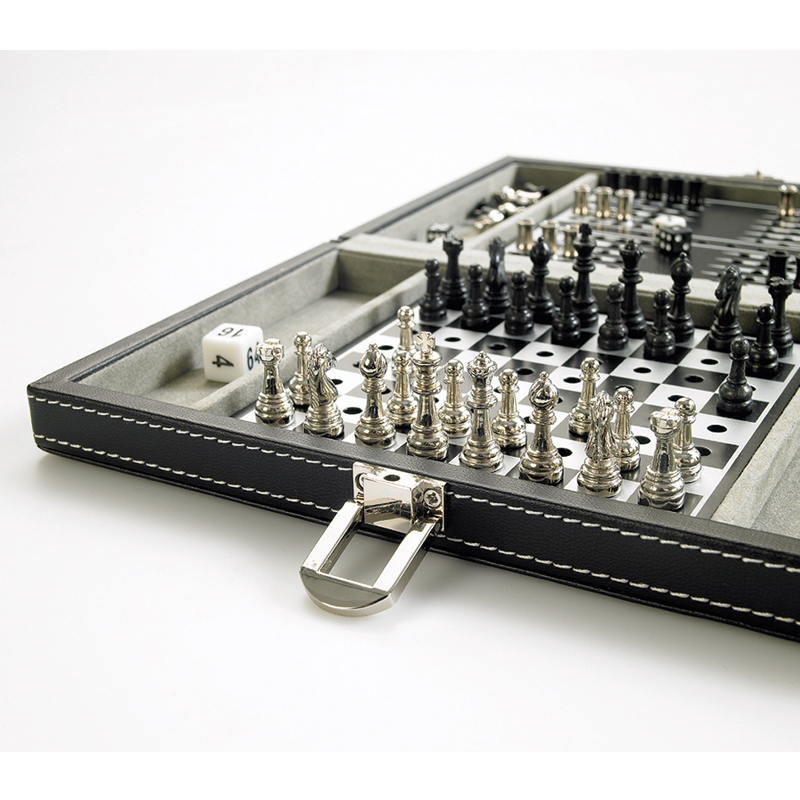 Also included is a cloth drawstring pouch to keep your pieces safe.